An opportunity for a Mid-Senior Interior Designer with 8-10 years experience has become available to join our multi-award winning multi-disciplinary design firm in the heart of the CBD within the Interiors team. With over 20 years experience in Australia, and offices in Melbourne, Sydney and the UK, this multi-disciplinary design firm is a leader in design excellence winning World Building of the Year at WAF, the Emil Sodersten Award for Interior Architecture and numerous other national and international design accolades. Based in the heart of Sydney CBD, we pride ourselves on quality and precision. The company has an enjoyable work culture, with social engagements and industry events throughout the year. 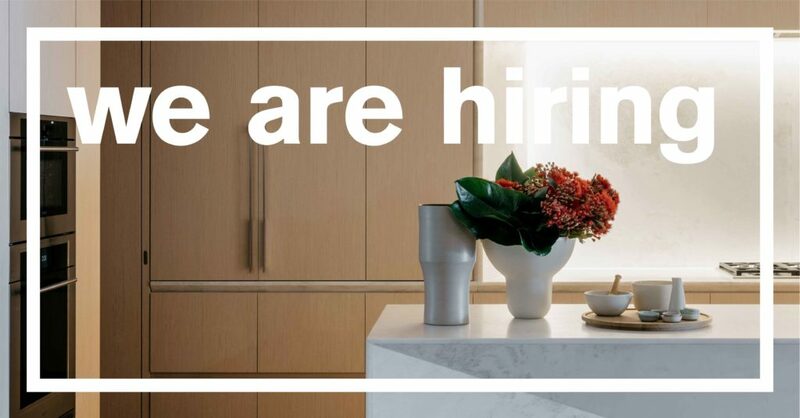 The Sydney Interiors team is expanding, and this a fantastic opportunity to join in on the action! We are looking for a talented designer with excellent team management skills, great client rapport and ability to manage a project from inception to completion. With recent wins in the multi-residential sector, this role will oversee multiple projects across every stage. This role needs a people person, someone who is engaged, energetic and thoughtful. Develop design concepts working with the department leads. Email your CV’s and Portfolio (Max 10MB) with REF: Mid-Senior Interior Designer to careers@fjmtstudio.com. You can also look at our LinkedIn page here. We look forward to hearing from you.